Stainless steel work bench for radioactive waste storage. Ideals for Radiochemistry and Nuclear Medicine laboratories. 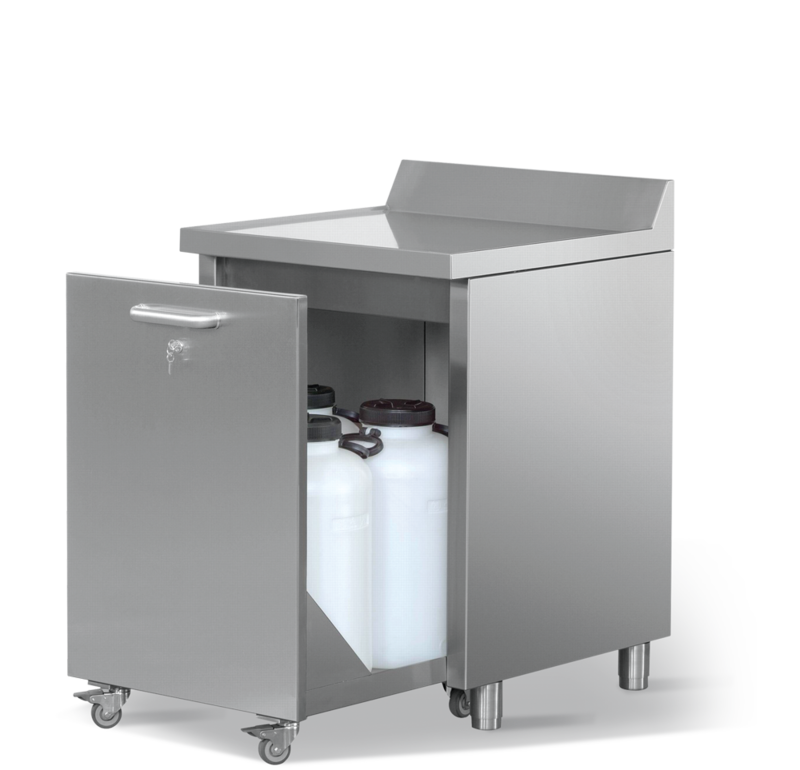 The extractable trolley to transport radioactive waste containers, with key lock and a handle, is shielded on the front and on the back. The trolley insures operator’s protection during the loading and unloading. The lower part is sealed to avoid accidentally poured liquid spilling. The rubber lined treated steel wheels insure the sliding.